Match Group, the owner of Tinder, beat on both the top and bottom lines. The dating-service provider delivered fourth-quarter revenue guidance that fell short of Wall Street estimates. The company said it will deliver a special cash dividend of $2.00 per share for all common stock. Watch Match Group trade live. 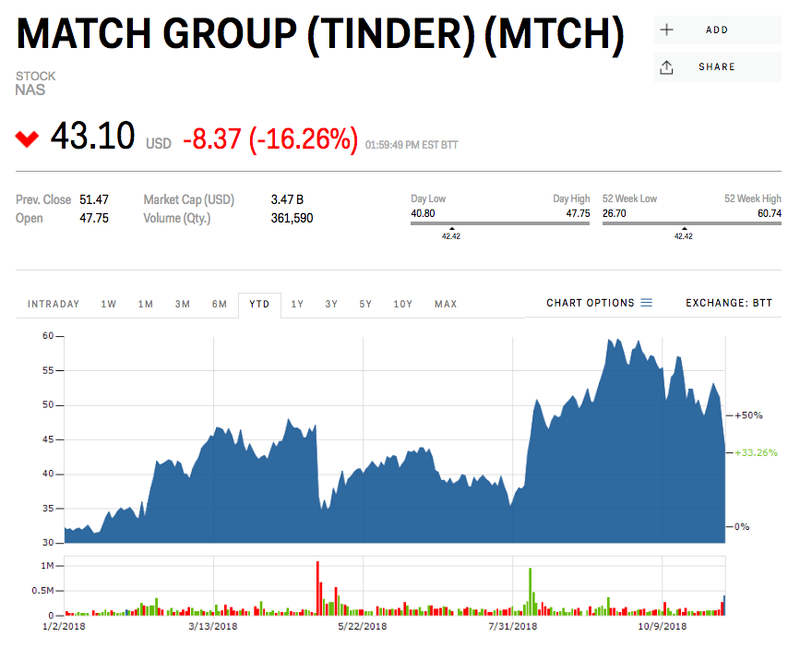 Match Group, the owner of several online dating sites such as Tinder and OkCupid, tumbled as much as 20% Wednesday after the company’s revenue forecast missed Wall Street estimates. The dating-service provider said after Tuesday’s closing bell that it earned an adjusted $0.39 a share in the third quarter, beating the $0.35 that was expected by analysts, according to Bloomberg data. Meanwhile, its revenue totaled $443.9 million, topping the $438.2 million that was estimated. 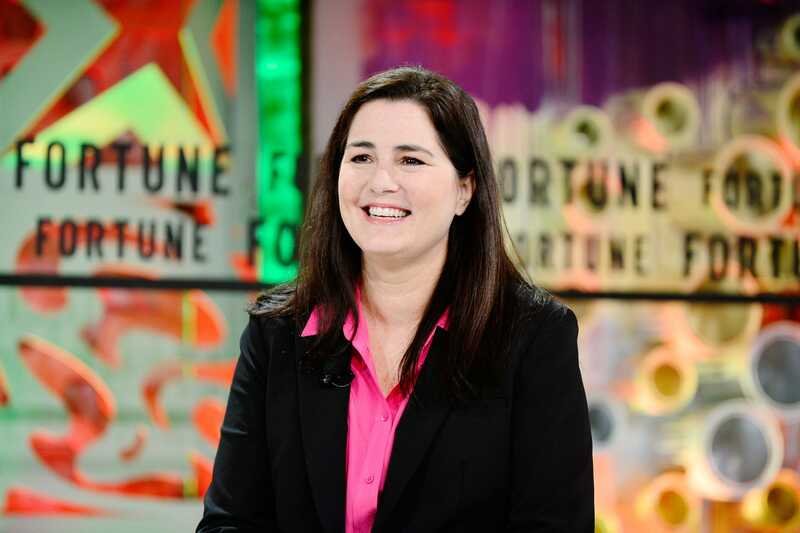 “Match Group delivered another quarter of strong top and bottom line growth, with Tinder continuing as our growth engine,” CEO Mandy Ginsberg said in a press release. Looking ahead, the company said it expects its fourth-quarter revenue to be between $440 million and $450 million. Analysts were expecting $454.5 million. Match Group also said it’s on pace to approach top end of prior revenue outlook of $1.72 billion for the fiscal year of 2018, which is in line with Wall Street estimates. Meanwhile, management said it will deliver a special cash dividend of $2 per share for all Match Group common stock and class B common stock. “While a slightly underwhelming 4Q guide is a negative, we note that the majority of the softness is external rather than fundamental,” Jefferies analyst Brent Thill said in a note sent out to clients on Tuesday. He blamed external factors, including a foreign exchange headwind, advertising softness due to EU General Data Protection Regulation, and expenses on lawsuits as reasons for the soft guidance. Thill added that the $2 per share cash dividend is a “head scratcher” as 80% of the cash will go to its parent company, IAC, and one may surmise that IAC has intentions to do something with the cash. Thill has a “buy” rating and a price target of $70 for Match Group — 63% above where shares were trading Wednesday.